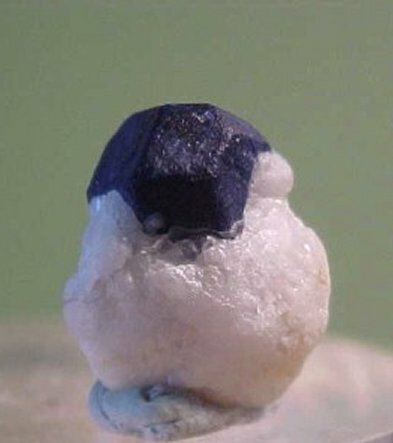 Comments: A single, deep blue, dodecahedron of Lazurite measuring 1 cm on a white marble matrix. Location: Firgamu, Badakhashan Province, Afghanistan. Scale: 1.2 x 1 x 0.9 cm.